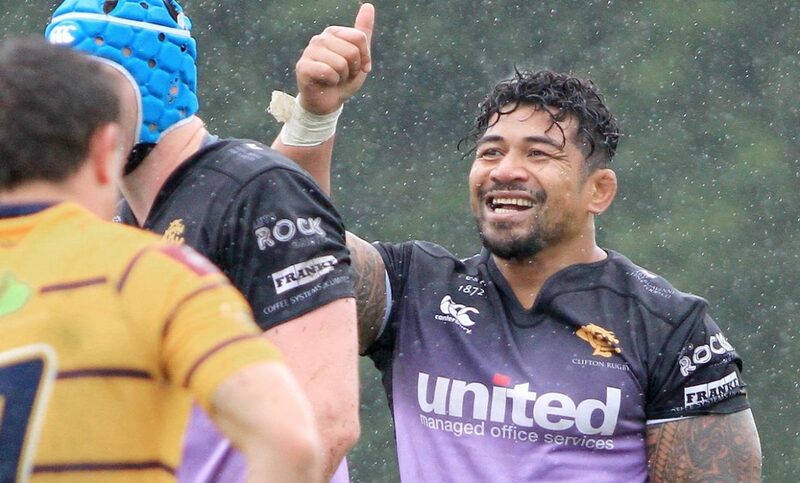 The Samoan forward has made only two appearances for the Lavender and Blacks so far this year, but he did score a try in their win over the Bees in Round Seven. The aforementioned triumph was just Clifton’s second win of the term and they were also able to clinch the victory despite being reduced to 14-men following an early red card. Matt Salter’s side are currently 11th in the table and are now three points clear of the relegation zone as they prepare to take on Canterbury this weekend. “Any win picks up the team especially after a poor result like we had against Guernsey,” said To’oala. 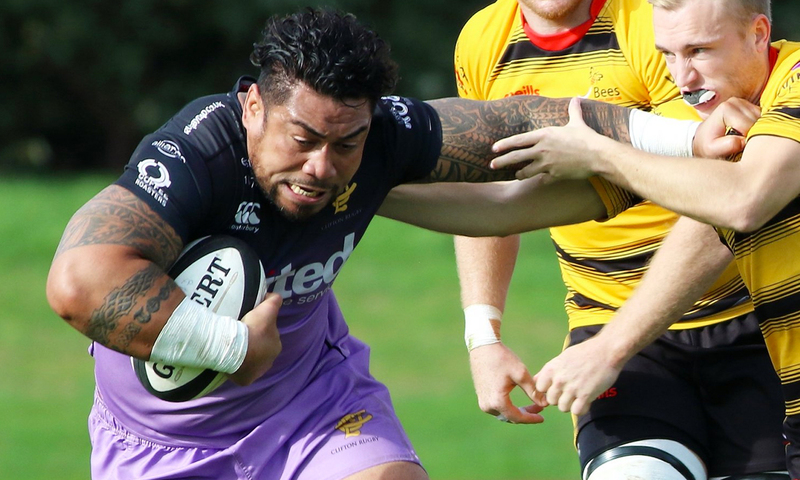 To’oala is slowly making his way back into National League rugby after sustaining a serious knee injury which kept him out of action last year. The former Bristol man is now hoping to make an impact for Clifton after returning to the West Country four years ago following a stint in National Two South with Chinnor. He added: “I know Bristol quite well having played for the club earlier in my career. I have kept in touch with some good friends here and I have also made some good friends. Coming back to Bristol was always one of the things I wanted to do and playing for Clifton as well. The 37-year-old has a wealth of experience behind him. Having appeared in the Premiership with Bristol, as well as the Championship and the National Leagues with various clubs, To’oala also represented his native Samoa at the Rugby World Cup in 2007. To’oala knows exactly what it takes to be successful in the English game and he believes the National Leagues are vital for young players if they do have ambitions of playing at a higher level. “I am one of the old heads now!” joked To’oala. “When I first moved here, I actually started off my career playing in National One, which is the Championship now. “What I can add is all the experience I have gained throughout my career to help out the team and help out some of the younger boys who are looking to progress themselves. “The National Leagues are tough. When I first experienced them, they told me I would be OK and it would be easy because I am playing down in these leagues, but to be honest with you, it has been a lot tougher than I expected! Whilst helping the younger players progress, To’oala will also be keen to see Clifton push on as a team. Since To’oala moved to Station Road, Clifton have failed to finish higher than 10th place and in the last couple of years, they have had to fend off the threat of relegation. To’oala said: “Our recent league positions have come down to injuries and also different personnel at the time. It is a very tough league and there are somethings you can’t control at times. “As a team, your goal is always to push on to try and compete up there in order to finish at a high level. With the guys that we do have, we are just taking games as they come. Clifton travel to sixth placed Canterbury this Saturday and having featured in two of the club’s last four games, To’oala may well be involved in Kent. However, the back-rower is also focused on his role away from the field this year. To’oala not only helps the young players at Clifton, but he also coaches kids in the Bristol area, which is something he sees as his main role as he begins to think about life after his playing days. “Of course, I help out the Clifton boys. I started personal training/fitness coaching and I also do some player coaching. It is mainly just helping guys push forward, especially the younger kids, through my experience. “I also cover different areas of Bristol and the good thing about playing here in Bristol is that we have got a lot of rugby teams and I mainly coach the juniors. It is a good way to give back not just to Clifton, but to all the kids in Bristol.